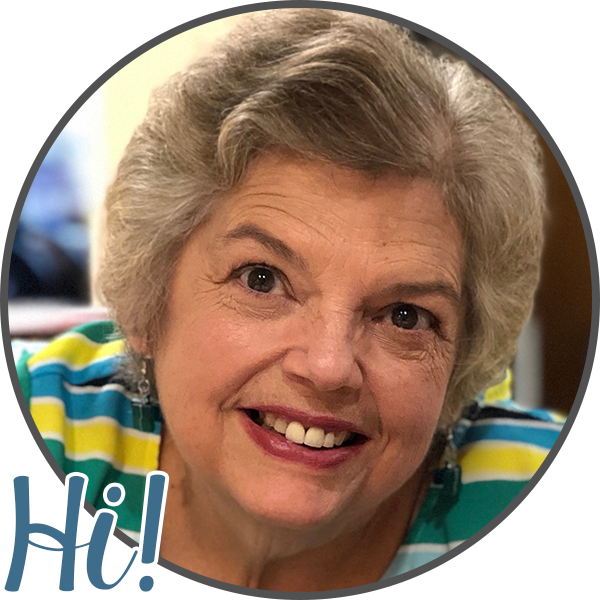 Today I wanted to share a few strategies and supports I have used for teaching sequencing in my special education classroom over the years. Teaching order, continuance, sequel, consecutiveness is so important in our world and lives today. SEQUENCING IS PUTTING THINGS(events, ideas) IN ORDER. Sequencing is part of comprehending and understanding what is being read. Sequencing is important in learning math. Remembering steps to completing mathematical problems, even addition and subtraction with regrouping requires sequencing of steps. In daily living- sequencing of activities and steps in order to complete activities is vitally important. Start at the picture level. Cards such as this from my Goldilocks and the 3 Bears set with only pictures on them can be extremely helpful in starting to put things in order. Using pictures from magazines, photos, picture books or comic books are extremely useful for sequencing. When working with materials at the picture stage, be sure and include the use of key sequencing words so the students get use to hearing them. 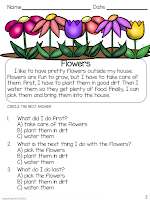 Pictures depicting how to make a sandwich, giving the family dog a bath, planting a flower or the stages of the growth of a flower all make excellent places to begin. 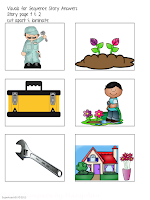 Once the student is successful at sequencing pictures, try incorporating words that correspond with the pictures, such as with familiar stories. 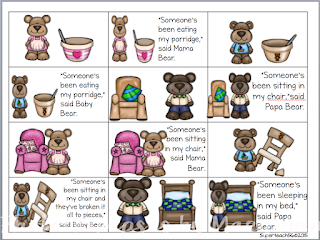 Below you will see a page from my Goldilocks Sequencing Card Pack. First I have included a picture only card and then next to it the same picture is accompanied by the text for that picture. This way the pictures can be used to help put the cards in order when reading the text. Following pictures and/or picture and text, putting sentences in order would be a logical next step. First start with 3 sentence stories that focus only on first, then, finally. 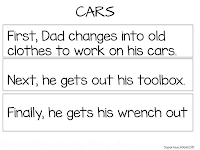 Cut apart sentence stories and have the students place them in order. 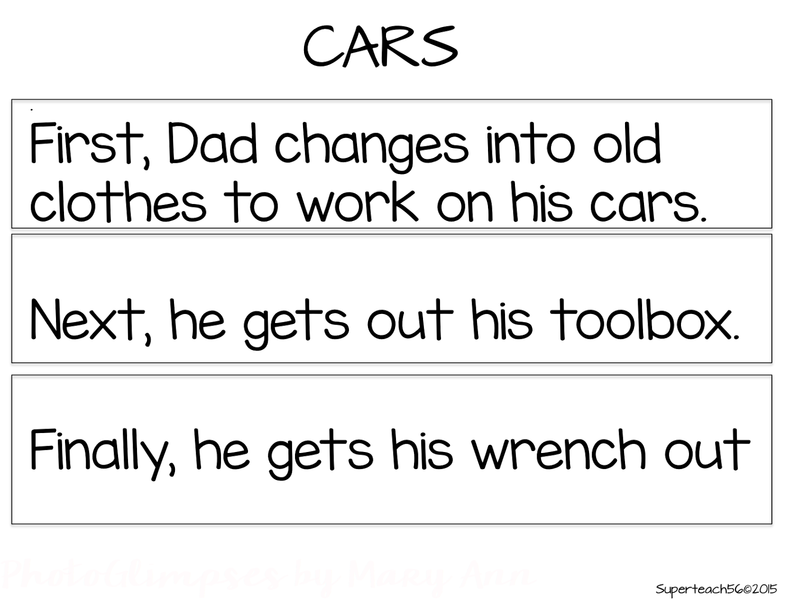 The example above is a 3 sentence store about Dad working on his car. It uses the keywords of first, next and finally. Once you know a student can read the text of this mini story, you can cut apart the sentences. Then you put magnets on the back and cookie sheets or use hook/loop fasteners to fasten them at a learning center. 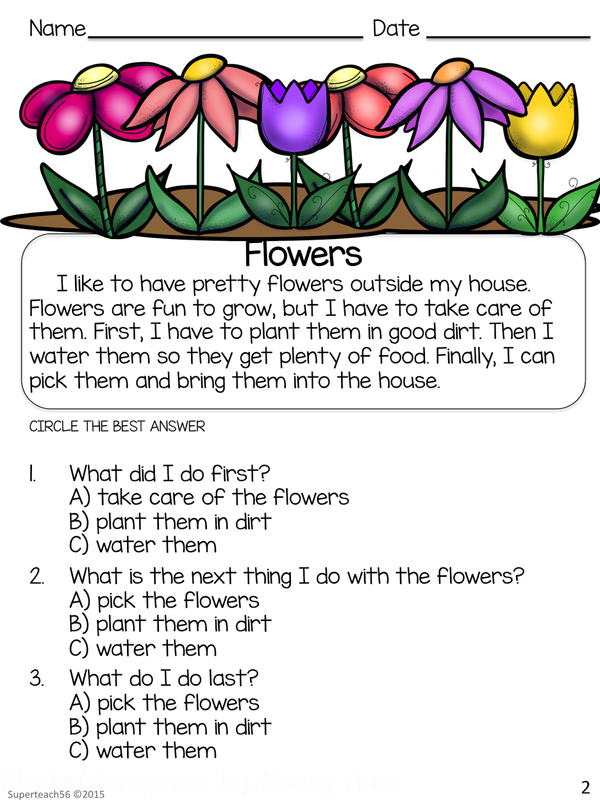 The students can then put the sentences in order and get them checked. From here you can of course increase the difficulty of the text and add pictures to this. 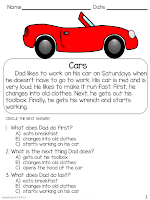 simple with basic sight words. 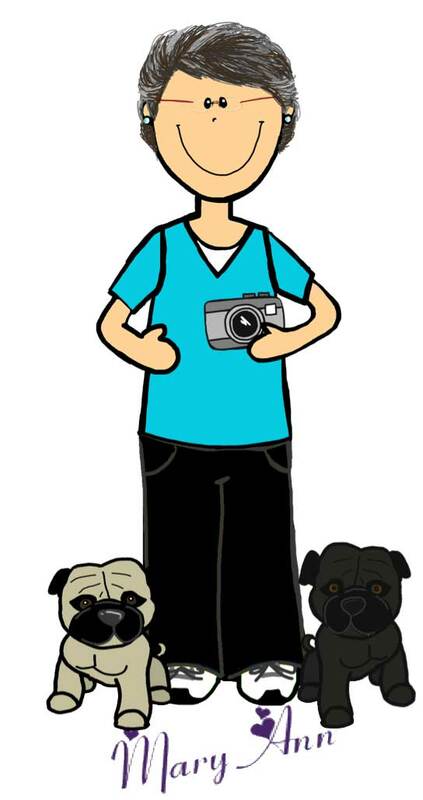 Each story has limited illustrations that depict what the story is about. 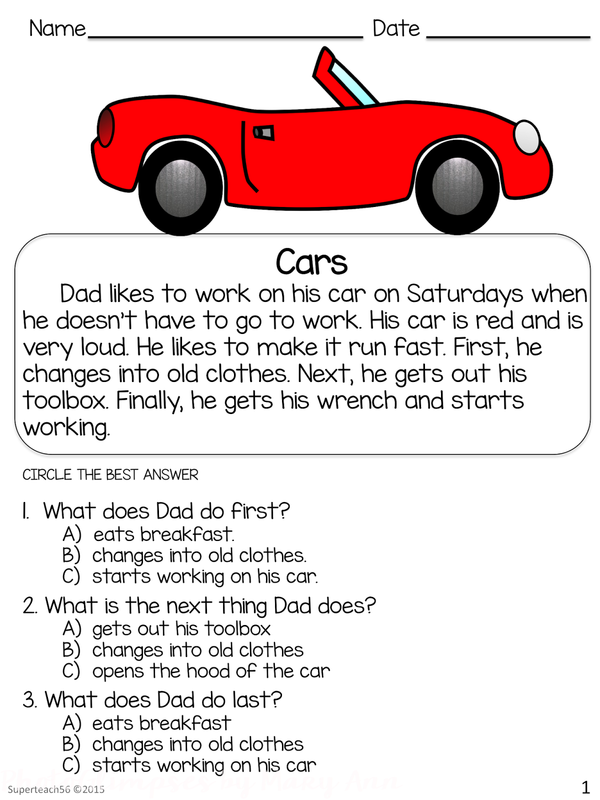 Each story also has 3 multiple choice sequencing questions underneath. The questions can be used with the text enabling the student to look back at the story or you could fold the page so that only the questions are visible. Below is an example of visual picture cards that match these two stories. 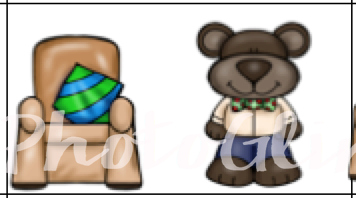 They can be used for extra prompting if needed to determine the events in the story. 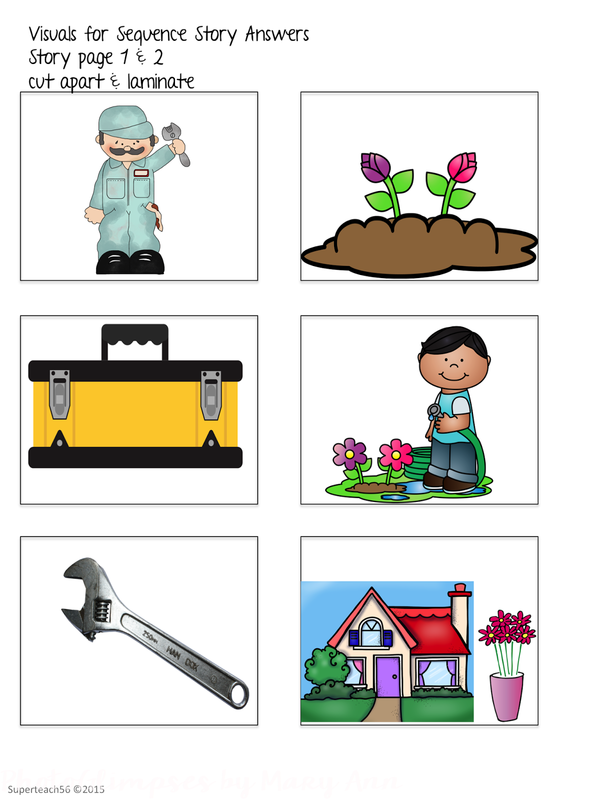 When the story is read to the student, the picture card could also be used as the answer cards the student used to sequence the story. This sequence packet is available by clicking here. Increasing text difficulty and adding details to the story can be extremely beneficial in building sequencing skill difficulty. Thanks for joining me today as we talked a little about the topic of sequencing.